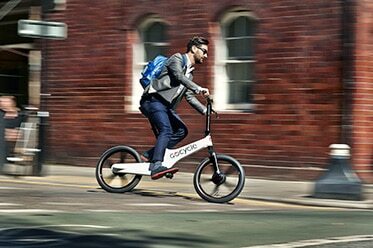 The Gocycle G3 and the new GS model are ebikes with a difference. Their designed from the ground up to provide an incredible experience both for commuting and for the weekend. 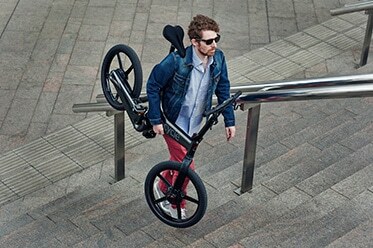 Enjoy owning an ebike that weighs just 16.3kgs while delivering an incredible power to weight ratio that provides speeds of up to 25 kms and a range as large as 80 kms. The Gocycle G3 and GS have several innovative and patented features designed to create a better biking experience. The Magnesium injected frame provides excellent durability while also being exceptionally light. The Gocycle G3 weights just 16.3Kgs. The Gocycle Pitstop Wheels Quickly and easily detaches for storage and transport using the propriety Hexlock System for easy single click pre-ride checks. Ergonomic grips with integrated two-way rotary shifters for up and down shifting, on demand power and Day Running Light (DRL) using propriety light pipe technology. GocycleConnect R App via wireless Bluetooth Riding Modes: City, Eco, On-Demand, Custom Multiple, Programmable through interactive Dashboard functions or Gocycle App. Hydraulic disk, front and rear Motor: Gocycle proprietary motor gear drive 250 watt continuous. Patented Cleandrive R chain enclosure and Gocycle electronic Predictive Shifting TM to the Shimano Nexus 3 speed that rotates into the stoppable folded position. 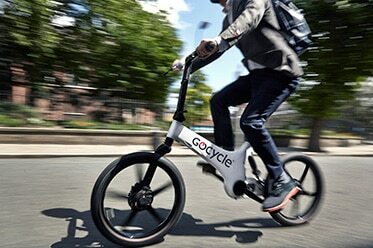 The Gocycle G3 & GS both provide an 80km range and up to 25km/h speed. While weighing just 16.3KG and being designed to require minimal maintenance and to keep you clean during your ride. See the GoCycle range’s features and design in everyday use in beautiful Miami and see how the bikes not only makes navigating the city easier but also fun. Learn about the portable docking station and get a glimpse at the ease of portability that the Gocycle range offers. Learn about some of the unique features that make the G3 the perfect bike for your commute or your next weekend adventure. 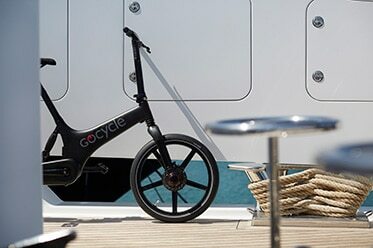 The Gocycle G3 & GS are designed by automotive engineer Richard Thorpe who was so passionate for his vision of creating the Gocycle that he gave up his dream job with Maclaren Formula 1 Team. So White, Gunmetal Grey, Stealth Black & Electric Blue. The GS model also offers a red colour. Gocycle G2 proprietary, single-sided, 6061 T6, fixed. Gocycle proprietary motor gear drive 250 watt continuous. interactive dashboard functions or GocycleConnect App. GS Model – 7-hour full recharge to a complete charge of the in frame lithium, 13.5Ah, 22V, Approximately 300 Wh battery. G3 Model – 3-hour full recharge. 100kg (220 lbs), including clothing and luggage. Gocycle Lockshock™ 25mm (1 in) travel. You can find all caveats of these specifications such as those for weight limit, here. You’ve seen the specs, the design and the benefits. 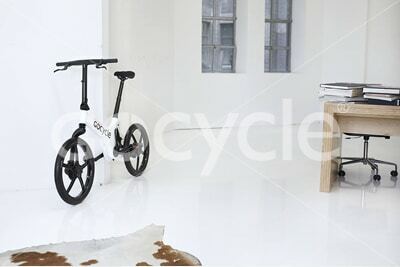 Now its time to experience the Gocycle range for yourself. Get in touch with us today to arrange a time to try these revolutionary bikes. © 2019 FoldeBike. Website by AIC Technologies | Gocycle® Website.